If the item is being sent to an International Address, there will be additional shipping fees. International Customers are responsible for any Customs Taxes or Duties their countries may charge. Shipping is for the contiguous 48 United States. International shipping is available on special request. 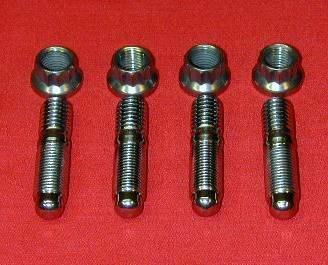 AlloyBoltz will credit the price of any kit or fasteners that a customer is not satisfied with. Customers need to return the kits or fasteners in the same unopened packaging and unused condition as when we shipped them to you. After we have received your kit back and verified everything is there, we will credit the cost of your purchase, less the shipping, back to the form of payment you used to purchase the original order. Returned items may be subject to a 15% re-stocking fee. 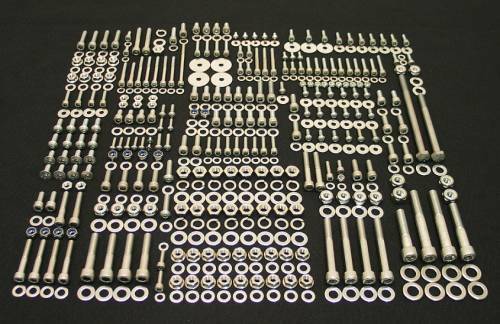 Cancellations on custom and show polished packages are only honored if the request is made prior to any cutting, polishing, and packaging of fasteners.